Man United will be without the trio of Diogo Dalot, Ander Herrera and Marcos Rojo for their clash against Wolves this weekend, whilst Phil Jones has been made available for Jose Mourinho’s side. According to the club’s official website, both Herrera and Rojo are not yet ready to play a part against Nuno Esperito Santo’s side, whilst manager Jose Mourinho confirmed that right back Dalot won’t be part of his plans either. The Red Devils boss also confirmed that defender Phil Jones will be available for him to select as part of his side, news that will be good for all those involved with the club to hear. Wolves have made an impressive start to life back in the Premier League this season, however United should have enough quality in their team to overcome the newly-promoted side. 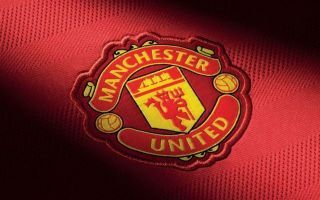 With the Red Devils having won their last three matches in all competitions, their fans will definitely be hoping to see their side continue their impressive run of form against the Midlands side this weekend. United will be hoping Paul Pogba, who had a fantastic game against Young Boys in the Champions League this week, and Romelu Lukaku, amongst a number of other stars, turn up to help the former Premier League champions claim their fourth league win of the season. It’s disappointed to see Dalot ruled out of the match given how well he did against Young Boys in midweek, however it’s probably the best to ease the 19-year-old into first team action rather than throw him in a the deep against a side that could cause United a few problems in Wolves.